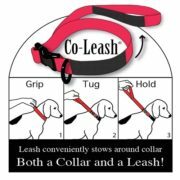 The Co-Leash is a dog collar that features a short control leash which wraps neatly around the collar and attaches with strong Velcro. 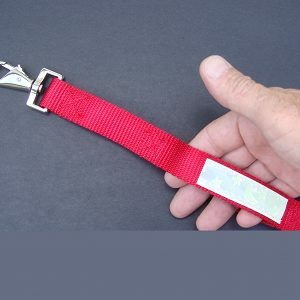 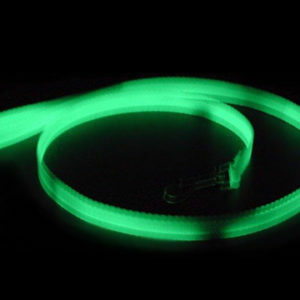 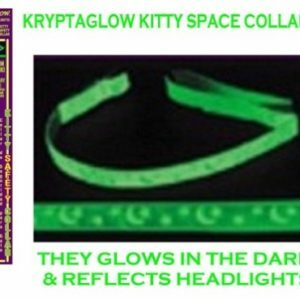 Its made with super strong nylon, a big dog buckle for added strength, and welded D-rings that can be used in conjunction with a regular leash as well. The Co-leash adjusts a little larger if needed.